Nominations for the richest race in the world are busting at the seams with stars well known to American race fans, including recently named Horse of the Year, California Chrome, his Breeders’ Cup Classic vanquisher, Bayern, and the 2013 Juvenile Champion, Shared Belief. He may not be based in the U.S., but the UAE Derby winner and BC Classic runner-up, Toast Of New York, made his last three starts inside our borders, and is a probable for the World Cup. Other big names on the list include: Belmont Stakes and Jockey Club Gold Cup winner, Tonalist, as well as, Lea, Wicked Strong, Hoppertunity, Candy Boy and expatriate, Ron the Greek. The home team is not as well represented in the evening’s big turf races, but a couple of our best can be found on the list of nominees for the the two biggest turf races on the card. 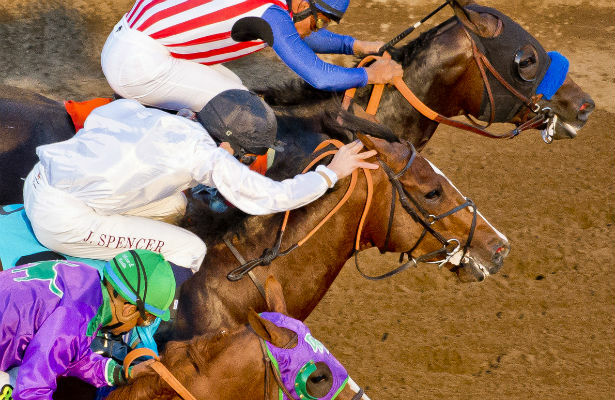 The Dubai Sheema Classic, a 1 ½ mile turf race worth $6 million, has attracted the dual Eclipse Award winner, Main Sequence, while California Chrome is cross nominated in the $6 million Dubai Turf, formerly known as the Dubai Duty Free. If the connections of the Kentucky Derby and Preakness winner decide turf is a better spot in Dubai, the 1 1/8 mile turf event would serve as a lucrative substitute for the World Cup. The Dubai Gold Cup, at 2 miles on the turf, is for the long distance specialists, and Cary Street and Micromanage top American nominations for the $1 million event. Back to the dirt, the $2 million UAE Derby, at 1 3/16 miles on the main track, probably will not attract our top Kentucky Derby candidates, but it does include one young horse who already has a rather large fan base, Metaboss, among nine American nominations on the list. As for the sprinters, the Dubai Golden Shaheen, at 6 furlongs on the dirt, and worth $2 million, has more than a dozen American nominees, including big names in Big Macher, Bourbon Courage, La Verdad, Palace, Salutos Amigos, and Secret Circle. For the grassy set, Distinctiv Passion, Home Run Kitten, Living the Life, and Pure Tactics are among those nominated for the $1 million Al Quoz Sprint at five furlongs. Finally, besides the World Cup, the $1 million Godolphin Mile, at a flat mile on the dirt, boasts the strongest compliment of American runners on the nomination list, topped by cross nominated stars: Shared Belief, Lea, Hoppertunity, Liam’s Map, and Bourbon Courage. A full list of all the nominations for World Cup night can be found here. Brian has been a passionate fan of horse racing his entire life. Taken to the races at a very young age, he has been lucky enough to see all the greats in person from Secretariat, Forego, and Ruffian through Rachel Alexandra, Zenyatta, American Pharoah and Justify. Before coming to the Nation, Brian displayed his love for the sport through the development of his horse racing website, which quickly became one of the most popular blogs in the game. His new racing partnership venture, Derby Day Racing, invites more fans to experience the thrill of racehorse ownership. 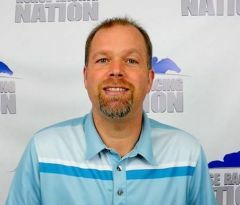 The Editor of Horse Racing Nation from 2010-2017, Brian authored a daily column as Zipse at the Track, created the popular racing show, HorseCenter and added his editorial flare to the overall content of the website. Now a Senior Writer for HRN, Brian continues to contribute his thoughts on racing, as well as hosting HorseCenter. A big supporter of thoroughbred aftercare, he serves as the President of The Exceller Fund. Brian's work has also been published on several leading industry sites. He has consulted for leading contest site Derby Wars, is both a Hall of Fame and NTRA poll voter, and is a Vox Populi committee member. A horse owner and graduate of DePaul University, Brian lives just outside of Louisville with his wife Candice and daughter Kendra.